There is a lot of talk about mammograms in the news lately. You’ve likely seen a variety of recommendations and opinions about whether to have mammograms and if so, when to start, how often to get them, and what kind to get. It’s always best to research a variety of sources before making decisions about your health care—particularly sources with well established reputations for reliable, evidence-based information. In this article, we’ll discuss why we make the breast cancer screening recommendations that we do. At Iowa Radiology, we adhere to the guidelines set forth by the American College of Radiology, the Society for Breast Imaging, and the National Comprehensive Cancer Network, all of which recommend beginning mammography at age 40. Numerous studies have indicated that women in their 40s who undergo mammography screening enjoy a lower relative risk of dying of breast cancer than women who are not screened. The National Cancer Institute reports that randomized controlled trials of women aged 40–74 show a 15–20% decrease in breast cancer mortality among those who are given screening mammograms. The American College of Radiology and the Society for Breast Imaging maintain that because annual screening has the greatest potential to save lives, mammography should be repeated each year. The primary reason for this is the effect of tumor stage at the time of diagnosis on a patient’s prognosis. A large study published in 2015 in the British Medical Journal found that the size and extent of cancer at diagnosis has a significant impact on mortality. Susan G Komen reports that while women diagnosed with localized breast cancer are 99% as likely to survive for five years as women without breast cancer, those odds drop to 85% when breast cancer has spread within the region of the breast and to 26% when it has spread to distant parts of the body. In order to catch any developing cancer at an early stage whenever possible, we advise patients to get a screening mammogram every year. What is the difference between the types of mammograms available? Digital 2-D mammograms were considered the standard for many years. As indicated in the research cited above, this type of mammogram is sufficiently accurate to find many breast cancers at early stages, significantly reducing the risk of breast cancer mortality. However, some women have been dissuaded from undergoing annual 2-D mammography because of the potential for unnecessary callbacks and follow-up procedures. 3-D mammography (also known as breast tomosynthesis) was introduced five years ago and has helped to increase the effectiveness of breast cancer screening. Evaluating more than 450,000 mammograms, a study published in 2014 in the Journal of the American Medical Association found that the addition of tomosynthesis to traditional 2-D mammography reduced the number of patients called back for follow-up procedures by 15% while at the same time increasing detection of invasive breast cancers by 41%. In 2016, the National Comprehensive Cancer Network issued guidelines recommending that physicians consider tomosynthesis as an option for their patients, stating, "Multiple studies show combined use of digital mammography and tomosynthesis appears to improve cancer detection and decreased call back rates.” Further, studies have shown tomosynthesis to be capable of detecting more cancers in women with dense breast tissue, which can obscure abnormalities and make detection more difficult. Iowa Radiology is an American College of Radiology Breast Imaging Center of Excellence that provides state-of-the-art low-dose 3-D mammography. If you have further questions about mammograms, feel free to check out the resources below or call our office for more specific inquiries. We pride ourselves on exceptional patient care and will always do our best to provide the information you need and to make you as comfortable as possible during exams. Click here to request a time for your next mammography appointment at one of our clinics in Ankeny, downtown Des Moines, or Clive. 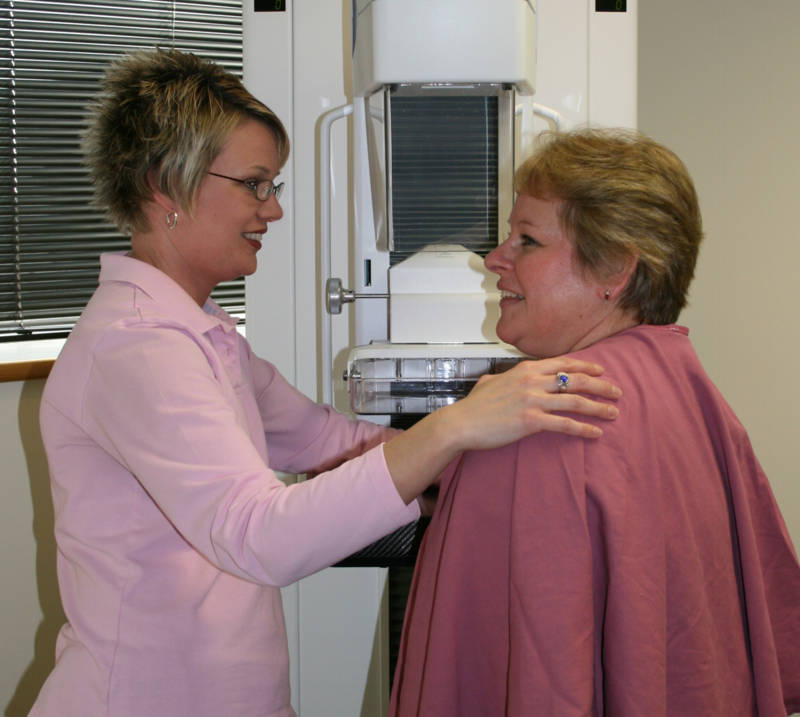 "ACR and SBI Continue to Recommend Regular Mammography Starting at Age 40." ACR.org. American College of Radiology, 20 Oct 2015. Web. 7 July 2017. "Breast Cancer Screening for Women at Average Risk." Komen.org. Susan G Komen, 23 July 2016. Web. 7 July 2017. "Table 30a: Screening mammography for women 40-49." Komen.org. Susan G Komen, 23 July 2016. Web. 7 July 2017. "ACR/SBI Statement: Doctors Believe in Power of Mammography to Save Lives, Recommend Screening Starting at Age 40." ACR.org. American College of Radiology, 13 April 2017. Web. 7 July 2017. "Influence of tumour stage at breast cancer detection on survival in modern times: population based study in 173 797 patients." BMJ.com. BMJ Publishing Group Ltd., 6 Oct 2015. Web. 7 July 2017. Friedewald, et al. “Breast Cancer Screening Using Tomosynthesis in Combination With Digital Mammography.” JAMAnetwork.com. American Medical Association, 25 June 2014. Web. 7 July 2017. "NCCN: 'Consider' Tomosynthesis for Mammography Screening." Medscape.com. WebMD LLC, 10 Aug 2016. Web. 7 July 2017. 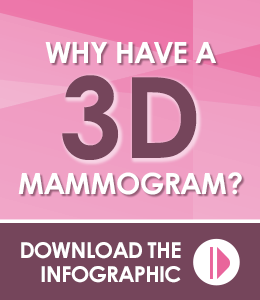 "Adding 3-D Mammography or Ultrasound to Regular Screening Finds More Cancers in Dense Breasts." Breastcancer.org, 18 March 2016. Web. 7 July 2017.